Dual-SIM phones are hugely popular in Asia, and there's been some speculation that Apple is going to include dual-SIM support in one of its 2018 iPhones – the cheaper 6.1-inch model that will have an LCD rather than an OLED screen, to be exact. Now a new report from Taiwan says the dual-SIM iPhone is real, but it's going to be a China exclusive. According to supply chain sources, Apple is actually working on four different models, with the dual-SIM 6.1-inch LCD iPhone engineered specifically for the Chinese market as Apple looks to give sales in the region a boost. 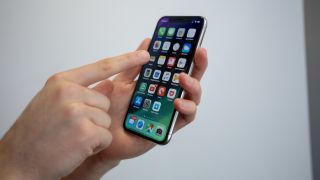 iPhones account for less than a fifth of total phone sales in China, according to recent data, and the market is dominated by the likes of Huawei and Xiaomi. Apple is keen to push that figure higher and a dedicated Chinese edition would help with that. In fact this matches up with rumors stretching back as far as last year, when insider sources claimed that Apple was working on a cheaper iPhone with an eye on the Chinese market. Less expensive iPhones should equal more sales. Whether or not this actually comes to pass next month remains to be seen, but we're now almost certain that Apple is planning to launch three iPhones this year – a 5.8-inch OLED model, a 6.1-inch LCD model, and a 6.5-inch OLED model for those who want as much screen space as possible and are prepared to pay for it. All the phones are set to adopt the iPhone X design style, with thin bezels and a display notch on the front, and we're likely to get bumps in the internal spec and camera capabilities too. As yet, a launch date hasn't been confirmed by Apple. Could new iPhones really drop the 3.5mm headphone jack adapter?